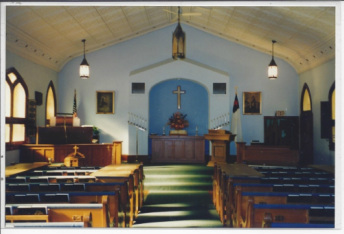 Notes: The Mount Vernon Swiss Reformed Church and its congregation date back to 1888. In 1912, the congregation of mostly Swiss farmers and cheese makers was formed. The name Zwingli was the name of one of the leading Reformation preachers in Switzerland, Ulrich Zwingli. 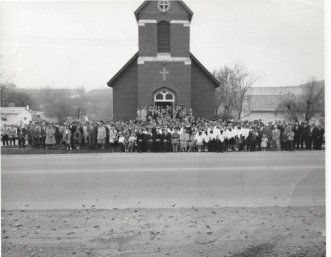 The first services were held in the church of the Evangelical Association located east of Mount Vernon at the intersection of County Hwy. G and Messerschmidt Road. 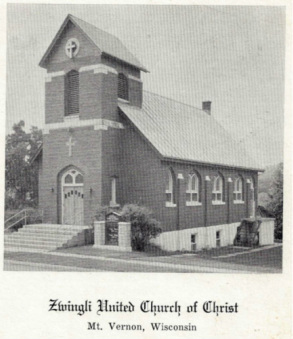 This building was struck by lightning in 1913 and the congregation met in the Mount Vernon Baptist Church and in the Scotch Presbyterian Church. In November of 1913 the congregation voted to build a new church in Mount Vernon and this brick building was started in the spring of 1914 and completed in 1915.